What Makes Gro-Max® better than Triple Mix? Gro-Max® is virtually weed-free, provides roots with more air space and is a lighter weight soil than most 'triple mix' products. Nobody really knows what 'triple mix' is because many people call many soils 'triple mix'. Gro-Max® follows a single recipe and is a consistent product wherever it is available. Can I use Gro-Max® for my Veggie Garden? Gro-Max® requires fertilizer addition to be a good soil for veggies. The organic nutrients in Gro-Max® release over a longer period of time. Gro-Veg® is a Gro-Bark® soil which has been fortified with nutrients for vegetable gardens. 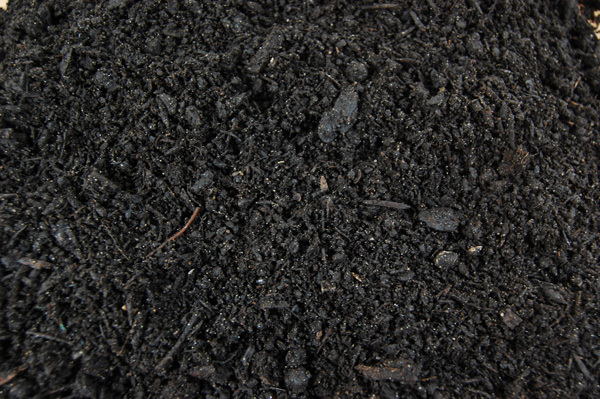 Gro-Max® could also be mulched with LiveMulch® Terroir Blend to make it suitable for veggies. The main ingredients of Gro-Max® are composts that have been processed at high enough temperatures to cook out any weed seeds that might be present. Container gardening takes many forms and requires a light-weight, porous soil. Plants in patio pots and raised beds need plenty of water but that water needs to drain and be replaced by oxygen. Roots require an active biotic ecology but the manicured style of most container gardens means that is not going to come from fallen leaves and trees. Fortunately, nearly all the ingredients in Gro-Max® are composted and that process kills weed seeds but generates a wide spectrum of microbes for soil health. Large trees need a heavier soil to hold them upright but Gro-Max® has been used successfully to grow all other plant material. The high organic content means that nitrogen is slow to release over many years so high feeders like veggie plants will need to be fertilized annually.